When I was a kid growing up in Dodge City, Kansas, one of the “once-a-year” field trips we would always take in grade school was to Boot Hill — the local western museum. Boot Hill is often considered the “crown jewel” of Dodge City tourism. For a kid though, the “crown jewel” had more to do with being able to saddle up to the bar at the Longbranch Saloon and order a sarsaparilla or root beer. You get it poured into a chilled beer mug, just like your dad. This drink recreates those flashbacks to my childhood. Only this time, it’s just a little bit stronger than the sarsaparilla was enjoying as a wee lad. 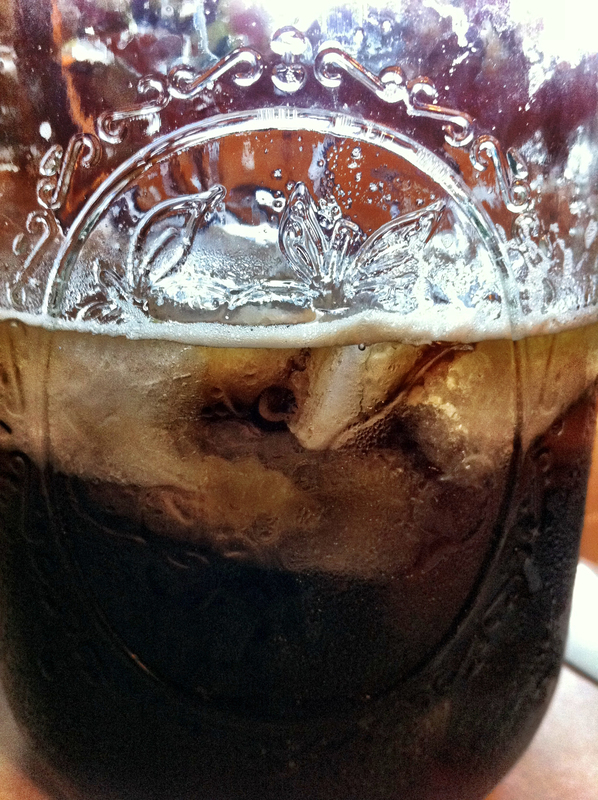 Combine the ingredients in a mason jar filled with crushed ice and stir well. This cocktail is delicious, and VERY western. It’s perfect for a summer BBQ. There is some power on the back there though, so be careful if you’re taking these town a bit too quickly.